The conflict in Libya is a full-blown war. As underlined by Jon Mitchell, in his article opening the series, “a continuing and strengthening Libyan civil war poses a significant challenge in the North African and Middle Eastern regions, and even beyond. Besides the direct domestic disaster resulting from civil war, the early involvement of five foreign regional governments (each with their own political or security stake in Libya) backing the fighting domestic actors could be a powder-keg, further destabilizing the region.” Notably, the war in Libya had – and still has? – the strong potential to play in the hand of the Islamic State (see corresponding articles). This ongoing series, started in October 2014, thus aims at providing strategic foresight and warning analysis of the war in Libya, focusing first on the actors before to move on to scenarios. Scenarios for the Future of Libya within the Next Three to Five Years by Helene Lavoix and Jon Mitchell , 1 June 2015. Potential Futures for Libya Series – Features of a War by Jon Mitchell, 13 October 2014. Libya’s Future Scenarios – Sc 2 (7) Libyans vs International Coalition: Tensions ahead, by Jon Mitchell, 18 April 2016. Scenarios for the Future of Libya – Sc 2 (6) International Intervention with Libyan Partners, by Jon Mitchell, 21 March 2016. Scenarios for the Future of Libya – Sc 2 (5) International Intervention by Jon Mitchell, 29 Feb 2016. Scenarios for the Future of Libya – Sc 2 (4) Qatar Intervenes on the Islamist Side, by Jon Mitchell, 8 Feb 2016. Scenarios for the Future of Libya – Sc 2 (3) Egypt Intervenes on the Nationalist Side by Jon Mitchell, 18 January 2016. Scenarios for the Future of Libya – Scenario 2 (2) – The Joint Arab Force Intervenes by Jon Mitchell, 21 December 2015. Scenarios for the Future of Libya – Scenarios 2 (1) – The Joint Arab Force Takes a Side by Jon Mitchell, 7 December 2015. Scenarios for the Future of Libya – Scenarios 1 (5) – A Libyan-Mediated Peace? by Jon Mitchell, 9 November 2015. Scenarios for the Future of Libya – Scenarios 1 (4) – Failed negotiations by Jon Mitchell, 19 October 2015. Scenarios for the Future of Libya – Scenarios 1 (3) – A Successful Peacebuilding Mission? by Jon Mitchell, 28 September 2015. Scenarios for the Future of Libya – Scenarios 1 (2) – a Victorious United Government? by Jon Mitchell, 7 September 2015. Scenarios for the Future of Libya – Scenarios 1: Towards Peace? (1) by Jon Mitchell, 29 June 2015. War in Libya and Its Futures – Tribal Dynamics and Civil War (3) (Toubou and Arab Tribes), by Jon Mitchell, 11 May 2015. War in Libya and Its Futures –Tribal Dynamics and Civil War (2) (Amazigh and Tuareg Tribes), by Jon Mitchell, 20 April 2015. 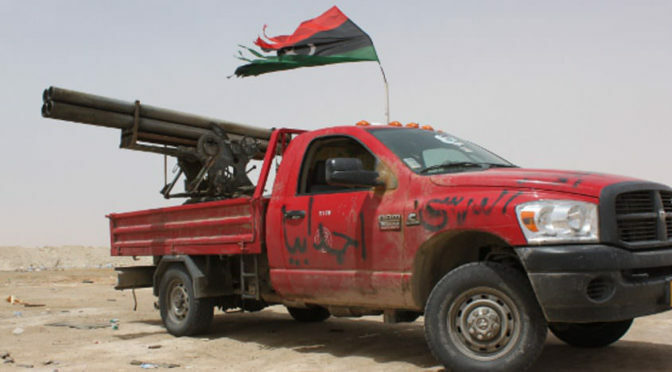 War in Libya and Its Futures – Tribal Dynamics and Civil War, by Jon Mitchell, 13 April 2015. Update – War in Libya and its Futures – The Islamic State Advance and Impacts by Jon Mitchell, 9 March 2015. War in Libya and its Futures – Potential International Intervention in Context by Jon Mitchell, 16 February 2015. War in Libya and its Futures: State of Play – Islamist Forces (2) by Jon Mitchell, 26 January 2015. War in Libya and its Futures: State of Play – Islamist & Misrata forces (1) by Jon Mitchell, 5 January 2015. War in Libya and its Futures: State of Play – Nationalist Forces (2) by Jon Mitchell, 1 December 2014. War in Libya and its Futures: State of Play – Nationalist Forces (1) by Jon Mitchell, 3 November 2014. Thank you so much for warning us!